Display invaluable works of art, projected on floor or wall where users can manipulate the content as easily as the sweep of a hand over the image. Create exciting exhibits that can inform and educate in the most fun, interactive way. 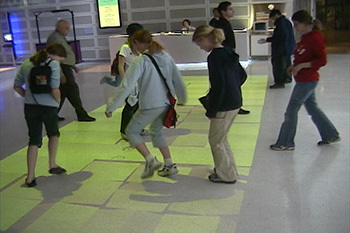 Gives even the youngest children the pleasure and satisfaction to control their world using their feet and hands alone with GroundFX® Interactive Floor/Wall Projection.